Tomorrow is the Fourth of July, or Independence Day, in the United States. For most of my countrymen, this means looking for a small stockpile of incendiary devices that semi-legal in short order. For me, this means it's time for my June reading wrap-up. On the whole, June wasn't a particularly strong reading month for me. I have been busy with work, a writing project, and some health challenges in the past several weeks that have prevented me from doing as much reading as I would like. It's funny: reading is one of my greatest joys in life, yet the activity gives me a lot of anxiety: I never think that I am reading enough, that I am reading too slowly, or that what I am reading isn't as good as it should be. Undoubtedly these feelings are about something other than reading, but I digress . . . The first book I completed in June was Adrian Tomine's Summer Blonde which I loathed with a passion I normally reserve for Hugh Jackman. I have read two collections of Optic Nerve comics from Tomine and both of them left me disgusted by the emotional immaturity of his characters. Tomine and I grew up in the same geographic area, so the cultural references he makes are ones that I readily pick up on . . . and they are also aspect of NorCal that make my stomach turn. If you're into characters who are "Bay Area" in the most pejorative of senses, by all means read Summer Blonde. However, if you're more apt to hate read the book, I suggest you check out my review from a few weeks ago instead. I next read N.P. by Banana Yoshimoto. You might remember that I re-read Yoshimoto's Kitchen back in April. 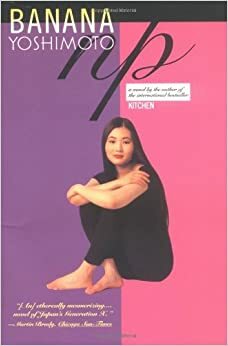 I had read Kitchen when I was in high school and loved the book dearly and, I am happy to say, loved the book again on re-read. Sadly, I did not like N.P. nearly as much as Kitchen. On the five star Good Reads scale, I went back and forth on if I should give the book two or three stars and, after more than one edit, decided to give N.P. two. The novel is about a young woman who works as an English translator at a Tokyo University. A few years before the novel's events, the young woman's boyfriend committed suicide while translating the final story in a collection of a Japanese author (writing in English) who had also committed suicide. In addition to her boyfriend, a few other people who had tried to translate the story had also committed suicide. By chance, the young woman befriends the dead authors children (a son and a daughter) and becomes wrapped-up in their emotionally fraught world. What bothered me most about this book wasn't its often disturbing plot, but the thematic elements that are introduced and then disappear almost as quickly as they are introduced. The novel had a lot of potential . . . it just never delivered on any of it, sadly. Lastly, I ended June by completing about 80% of The Wind-Up Bird Chronicle by Haruki Murakami, which I plan to complete in the next few days (God willing)! 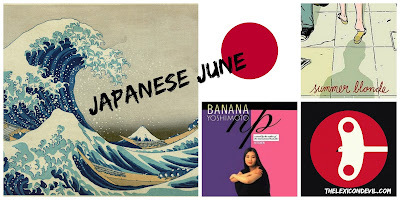 All-in-all I did rather well in Japanese June-- accomplishing two of the goals and getting close on the final one-- and I am happy with my performance. 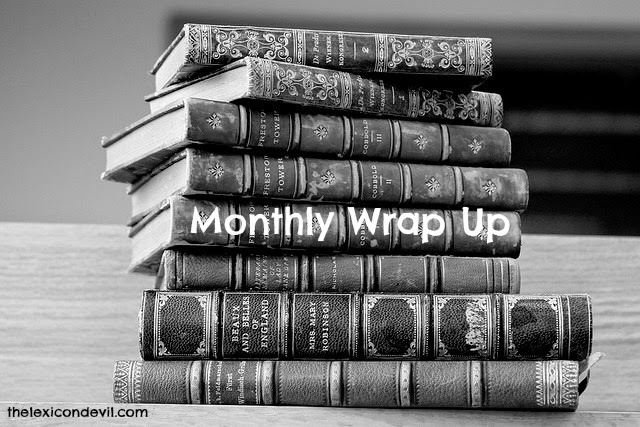 What did you read in June. Let me know in the comments or one my social media.